Ndue Ukaj (1977) is Albanian and Swedish writer and literary critic. He was member of several editorials literary. He has also been editor of the magazine for art, culture and society “Identity” that was published in Pristina. Ukaj is included in several anthologies of poetry, in Albanian, and other languages. He has published five books, including “Godot is not coming”, which won the national award for best book of poetry published in 2010 in Kosovo. He has also won the award for best poems in the International Poetry Festival in Macedonia. Ukaj’s poems and essays are widely published in Kosovo and Albania, as well as in USA, Bosnia and Herzegovina, Croatia, Montenegro, Sweden, Finland, Italy and Romania. 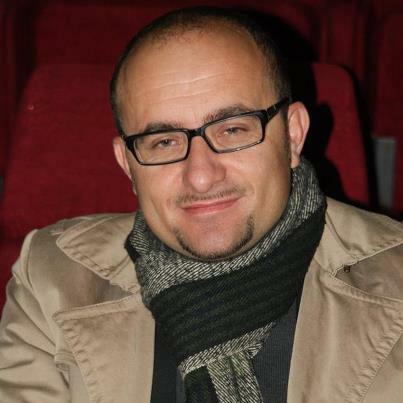 Ukaj is a regular contributor in major newspapers in Kosovo and electronic magazines and media sources in Albania.